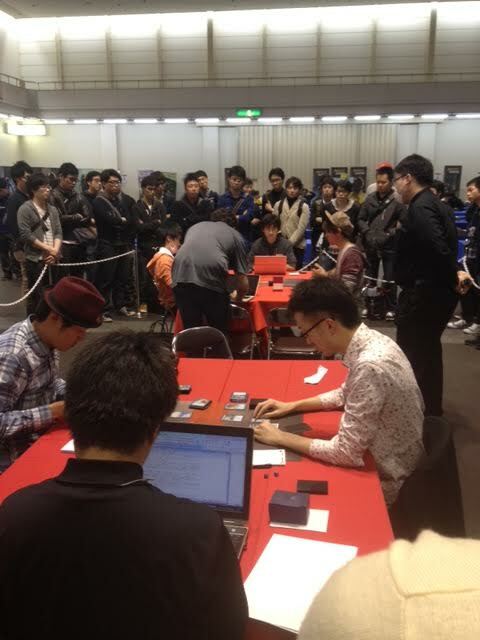 As the first Legacy Grand Prix in Japan’s history, GP Kyoto had a lot to live up to. It started off a little shaky more than a month before the event when it sold out 9 months after starting registration. The biggest complaint from most people online was that the cap was too low: 1890 people. This was increased at the last moment to about 2000 people by getting rid of some side event space, but I still feel that this event could have been a lot more. If you’re looking for an article about the metagame, unique decks, and top cards then you should head over to Wizards’ website and check out their coverage. Truth be told, Legacy is over my head. Being gone from the game of Magic from Stronghold to Rise of Eldrazi makes the learning curve way too high. I built a UR Delver deck back before it became a tier 1 deck thanks to buying a collection for $500 that had numerous Dual Lands in it (including 3 Volcanic Island), and finally got the final pieces for it about 3 months ago (Force of Wills for anybody interested). The thing is, once I started playing it with friends and going to some weekly Legacy tournaments in Nagoya, I realized that I really hate the deck. I’m a horrible control player, and even worse with a tempo deck like Delver that is dependent on knowing all the lines of play involved. Not knowing the decks also hurt me. I simply don’t have the time to invest in learning all the archetypes and practicing against them. That’s not to say I won’t EVER play Legacy, but I definitely won’t be going to a big Legacy event until I have another year or more of experience with it. I’m only just now becoming comfortable with Modern (which I got into 5 months before GP Kobe last year), so I expect it will take the same amount of time to learn legacy. I’ve actually been working on a Legacy Affinity deck (Affinity is also my Modern deck) that I think will be more along what I’m used to playing. 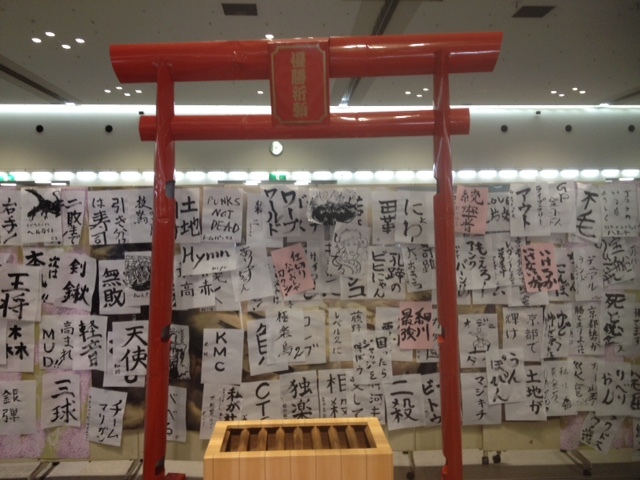 My whole reason for going to GP Kyoto in 2015 was to enjoy the side events, hang out with multitudes of friends and support them, as well as to trade. I took a local train from Nagoya to save some cash, and didn’t arrive at Pulse Plaza near Takeda station in Kyoto until after lunch time around 1:30pm. My first impression of the event was that it was rather subdued. No big signs out front, no crazy events going on around the floor, and even the vendor area was rather hushed. 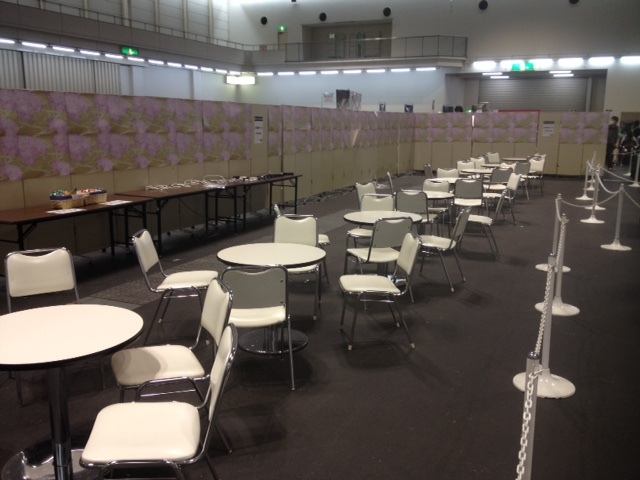 Being the first Legacy GP in Japan, I thought it would have been made more of a spectacle, but instead it seemed more like a business as usual GP. The main event floor was packed with players, and there was nary a free seat to be found. Every last free space was taken either by a side event or the main event, which made it almost impossible to trade with people the first day or to draft or Cube with a friend. I don’t think I was able to sit down until around 3pm myself. There were quite a lot of first time Legacy GP players in the room and I don’t think they really knew what to expect. The lack of proper Legacy infrastructure in Japan (there are small weekly tournaments in most of the big cities) has made it rather difficult to play at a high level of play consistently. MTGO has helped some, while others pretty much made gauntlets for themselves and tested their decks against what they thought would be big. I don’t believe that one of my friends made day 2, and each of them seemed to leave the Grand Prix wanting a little more. 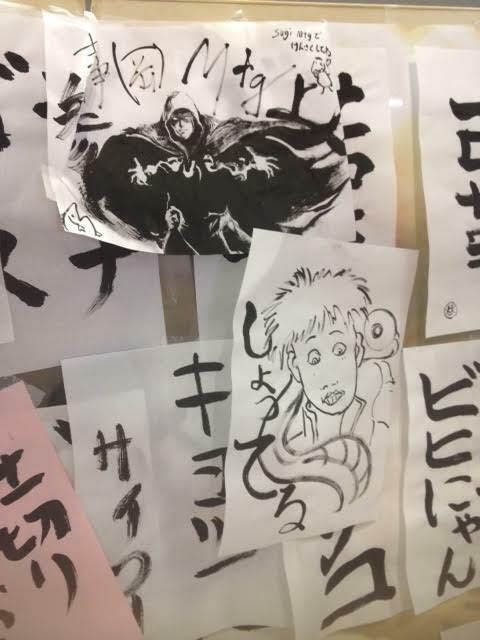 More than a few were disappointed to go 0-3 drop, and quite a lot of people decided to take a tour around Kyoto instead of play in any other events that weekend. 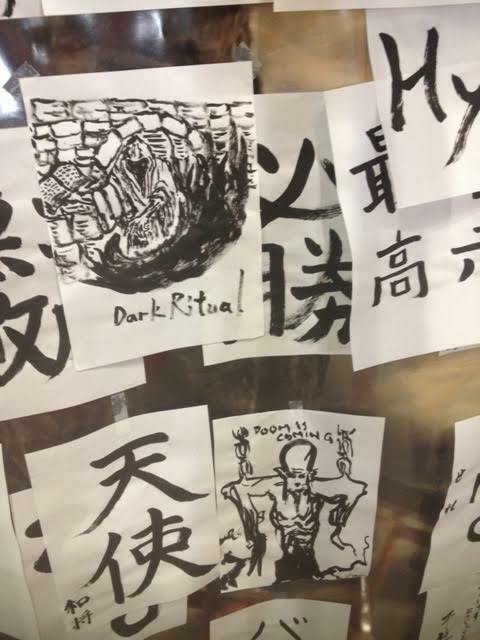 One of the things I’m most proud of from GP Kyoto was the article I wrote for TokyoMTG to welcome all the English speaking foreigners to Japan. While I’m sure most people just glanced over it, I still find it to be quite an achievement to be featured in a Grand Prix level publication. While walking around the event on Saturday, as well as playing in the side events on Sunday, I had a chance to talk to quite a few people from outside of the country. 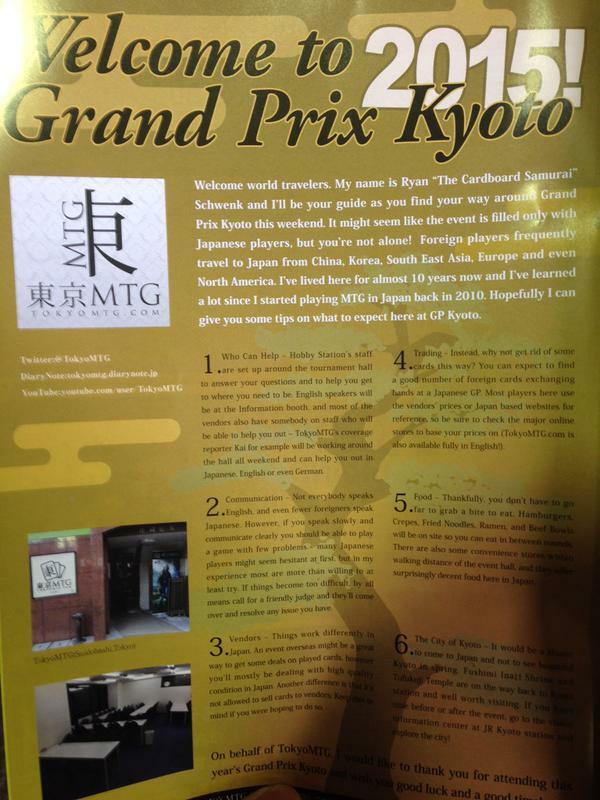 Most people said that GP Kyoto had the most foreigners ever at a Grand Prix in Japan. A rough estimate would put it at about 300-400 people, or a little under 20% of total (but it might have been a little lower). This was about 2-3 times more foreigners than a a normal Grand Prix, and I’m sure it would have been closer to 500 had the event hall been able to accommodate more people and not be capped at around 1900 people. The Food – Thank god that had more than just beef bowls this time. Don’t get me wrong, beef bowls are fine for one day, but not something I want to chow down more than once in a while. I partook in a banana creme crepe, yakisoba (fried noodles), and I heard that the Sasebo hamburgers were excellent as well. The Judges – they all did a great job of handling the event. Everything went smoothly and quickly both during the main event on Day 1 and with side events on Day 2. Mad props to the judges for one of the most efficient GPs I’d ever been to. Trades – there were a lot more high level trades going on at this event than ever before. With eternal format events come lots of pricey cards. Thanks to Puca Trade for helping me to build my binder. I was able to trade away a Dark Depths, 2 Cavern of Souls, and a Scroll Rack for 2 SP Wasteland, then traded away a Foil Sheoldred, foil Steel Hellkite, and a Ravnica Plains Guild land for a Swords to Plowshares and a 3rd Wasteland to complete my set. Considering I bought most of these cards for nearly nothing, this was all value for me. I also picked up an Ancient Tomb for a Stranglehold (that I got for 1000 points on Puca Trade). These cards will really help me to get involved Legacy a little more as well as to build up my trade binder in the process. Down below you can see what else I picked up at the event: 2 GP Kyoto special playmats with matching sleeves, and a cute cat playmat for the wife. I also traded away my pre-release Thunderbreak Regent foil for 2 regular ones and finished off my playset of Restoration Angel promos. The lack of free space – this event was not a place for spectators. I don’t know if they did this on purpose to limit the amount of potential thieves from walking around (and believe me there were. I heard of multiple people getting robbed at the event). Lots of space was freed up on day 2 from people failing to make it to the second day, but even then it wasn’t until mid day and people dropped from events like the Super Sunday series that there was enough space to trade comfortably. The VIP area – I thought the VIP area was pretty bland and didn’t really seem worth it the extra cost. 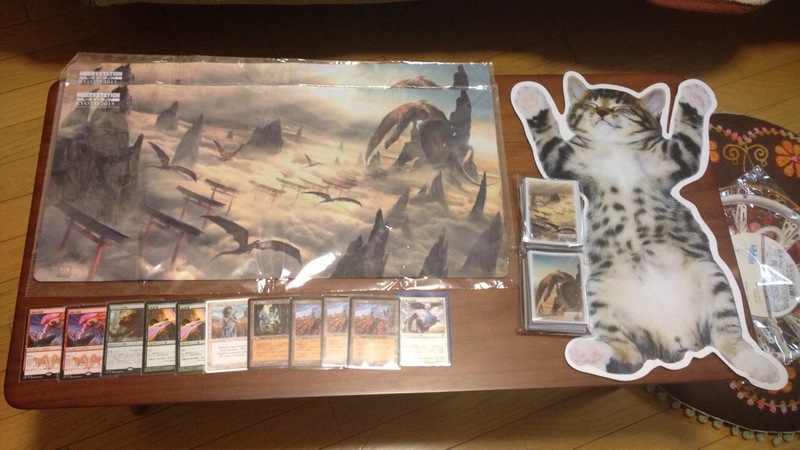 However, since players got sleeves and both playmats I guess it worked out for them. The chairs didn’t look that comfortable though, and the only other free stuff they got were cheap snacks and bottled water. I really hope it’s better at GP Chiba next month. I wish I had some idea of what goes on in Legacy, but I had absolutely no idea what anybody was doing at the top tables all weekend and was a little disconnected from it all. I just want to say congrats to Kai Thiele of TokyoMTG for making the top 4, as well as to Yuuta Takahashi for winning the first Legacy GP in Japan (and hopefully not the last). That’s all I have to say about GP Kyoto, but before you know it Modern Masters 2 will be out. Thanks for reading about my experiences as a spectator and not a competitor at the event. I’ll be doing my best to learn Legacy in the future! Be sure to check back in a few days for my next article.